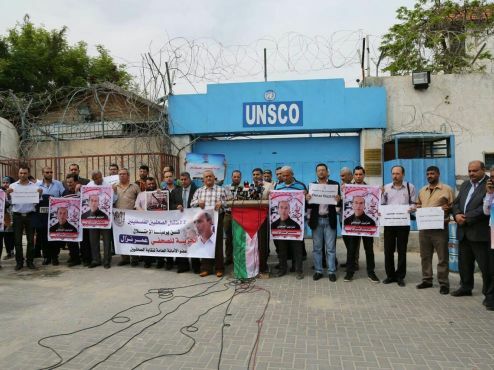 In commemoration of the international day of World Press Freedom, that occurs on the 3rd of May 2016, the Journalist Support Committee in Palestine has organized a stand outside the gates of UNESCO's headquarters in Gaza. The stand was attended by several Palestinian journalists, who addressed the public by speeches in solidarity with the detained journalists in the Israeli jails. The committee was represented by its director in Palestine, Mr. Saleh Al-Masry.